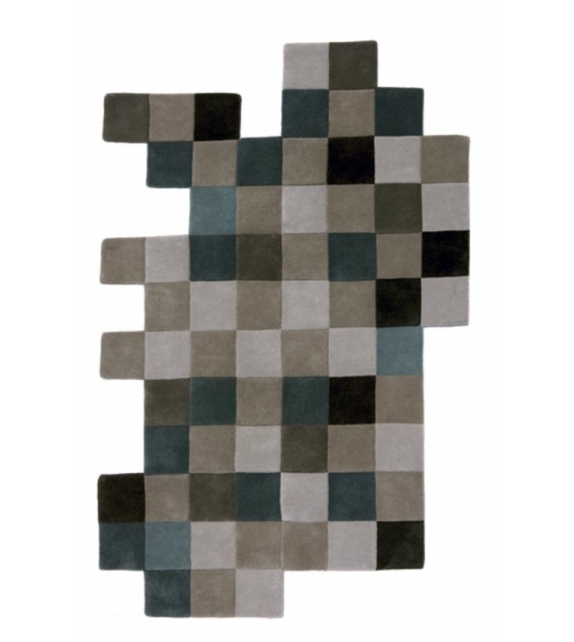 Nanimarquina, Do-Lo-Rez 1 carpet grey: Created by Ron Arad, Do-Lo-Rez is a union of two pieces, rug and sofa, conceived as a single element. Created jointly, they form an unusual project that brings the virtual world closer to the real world. Its name comes from the expression “do low resolution”. 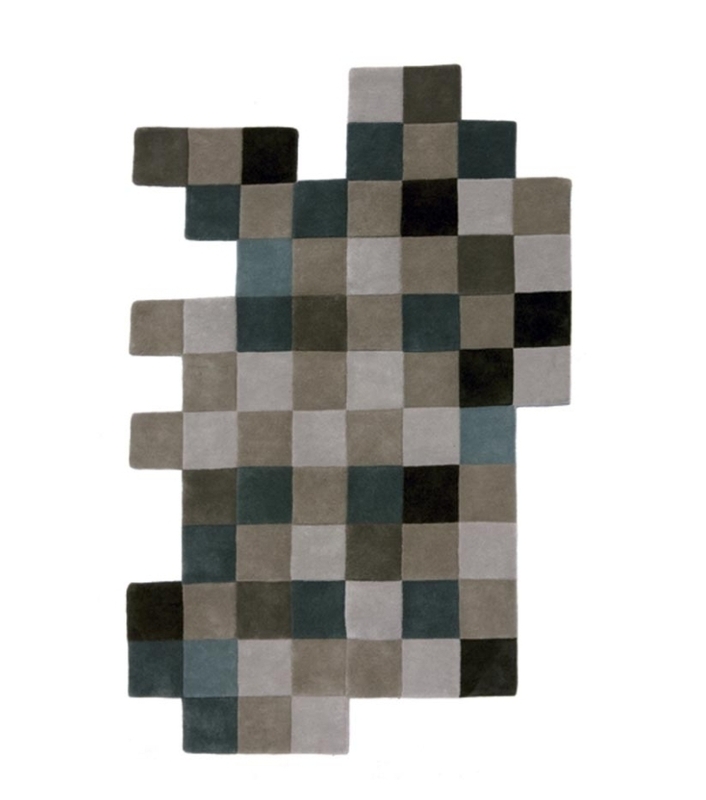 Nanimarquina, Do-Lo-Rez 1 carpet grey: Created by Ron Arad, Do-Lo-Rez is a union of two pieces, rug and sofa, conceived as a single element. Created jointly, they form an unusual project that brings the virtual world closer to the real world. Its name comes from the expression “do low resolution”. The idea came to him after seeing a pixelated image in low resolution, which has materialised into a three-dimensional surface. The rug is made through the handtufting technique, making each square a different height from the ones beside it. On the other hand, its extraordinary format involves multiple vertices that seem like the final pieces of an unfinished puzzle. 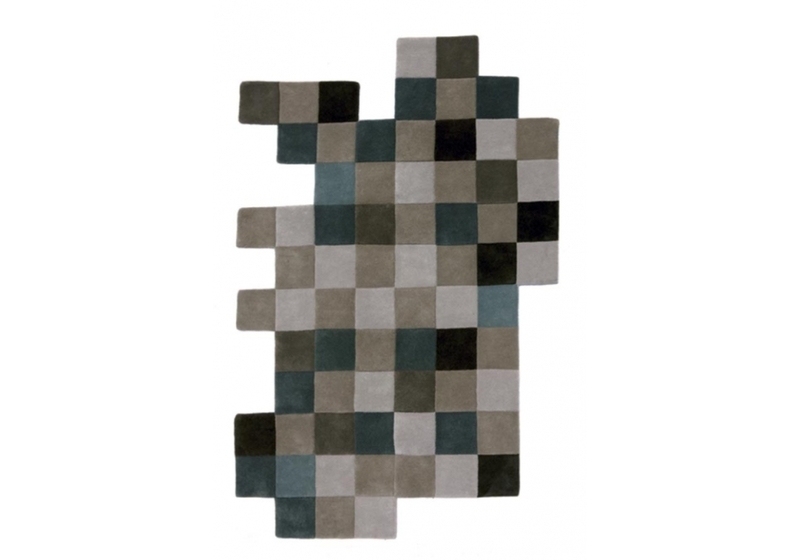 This game of volume and levels allows for made-to-measure, customised rugs.